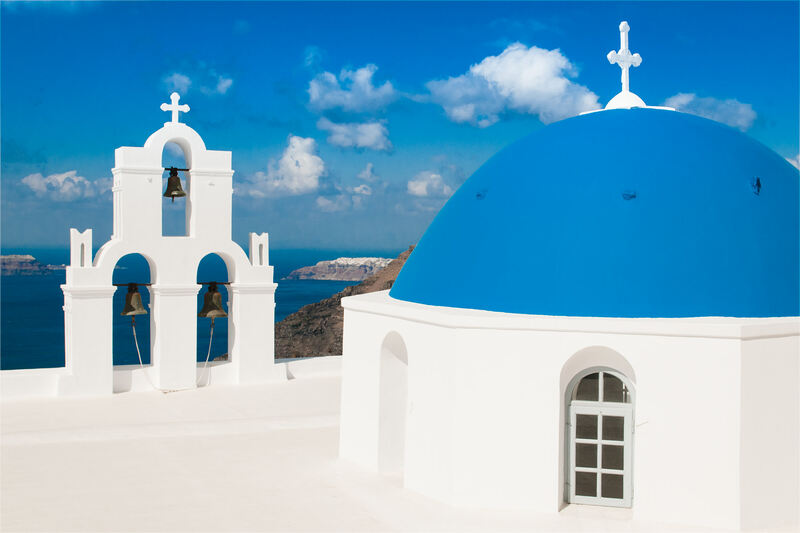 We traveled to Santorini in October 2008 and were intrigued by the beauty of this beautiful island. 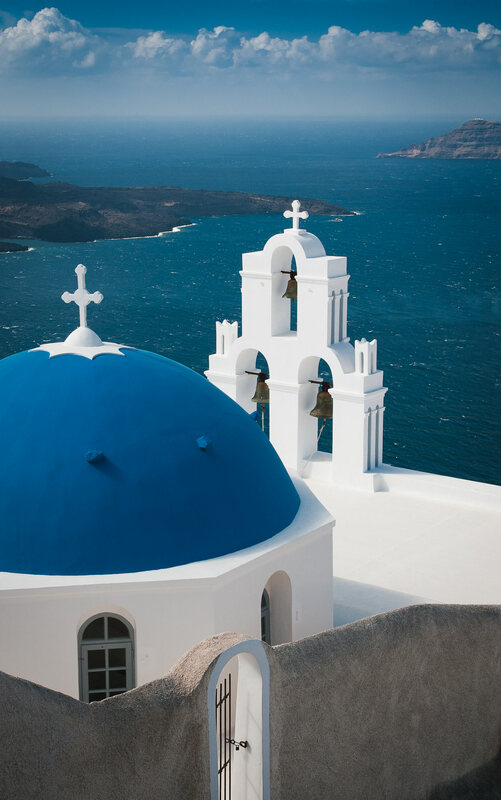 Everything at Santorini seems to originate from a painting. The island is a place to relax and to chill. If you can afford to rent one of the rooms at the more expensive hotels at the cliff line don´t hesitate to do so. You will never forget the dramatic sunsets and the fantastic views over the archipelago. The photo shown has been taken in the late morning sun Oct, 11th at 10:25 a.m. To bring out the vivid colors I would always prefer to shoot in direct sunlight at Santorini. Because of the white houses all around there are almost no deep shadows. Everything is shining and beaming.